The featherweight all-mountain Total Joy is a hardpack and powder shredder for confident women who rip. 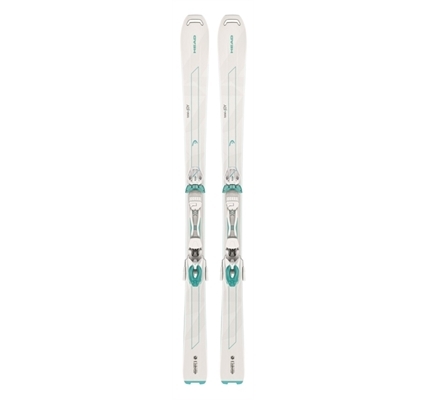 Armed with a versatile all-terrain rockered nose and reactive underfoot camber, a tight turning 13.6 radius, the lightness and response of the miracle material Graphene and the dampening of Koroyd this is a do-it-all high performance ski with a bent for powder. Also equipped with the lightness, control and balance of our women’s specific LIBRA Architecture the only limits this ski knows are those imposed on it.